The vision of First Century Ministries is to connect people with the eternal Word of God’s truth from Genesis to Revelation, knowing Yeshua and making Him known, and equipping those walking in The Way to effectively serve Him. Our purpose at First Century Ministries is to see a movement of God in the Buford area and throughout Gwinnett County, proclaiming the salvation message of Yeshua, the Son of God, and discipling with the Torah, Prophets, and the Writings including Matthew through Revelation. We purpose to proclaim God’s truth by teaching of a surrendered life to The King of Kings as opposed to the world’s view of a life focused on self. We purpose to maintain our facility as a safe place for families and individuals who attend. We purpose to encourage the daily surrendered life to God by equipping, encouraging, and exhorting the body of believers within the assembly to help understand and utilize the way God has gifted them. There is only one true and living God, Elohim. In the Bible, we see God reveal himself as three separate persons: The Father, the Son and the Holy Spirit. They are totally equal in eternal nature and value and work in complete and total unity. God is infinite Creator and perfect. He is without beginning or end. He created the world and sustains it. Without him, nothing that exists would be. He does not need humanity, but has chosen to love them based on his infinite goodness and mercy. The Bible was written by men divinely inspired by God and is God's revelation of Himself to mankind. All Scripture is totally true and trustworthy. It reveals who God is, what he requires of Man and how he came to rescue us when we rebelled against him. God created man to bring glory to God by His desire to fellowship with Man, however, mankind rebelled against God and the resulting fallout of those actions plunged the world into chaos. Death, sickness, and despair exist because Man attempted to live without God. God, in His justifiable wrath had every right to destroy Mankind, but instead chose to take on the form of a man, in the Person of His Son Yeshua, and die to pay the penalty for the rebellion Mankind had waged against God. God has always granted mercy to those that believed by faith. Salvation is not produced by good works or deeds, but rather is by the conscious choice to trust in the finished work of Yeshua . Salvation is available to all that would by faithful commitment, believe in Jesus Christ and is demonstrated by an active lifestyle based on Scripture. The world to come or simply eternity, is both a place and a condition of which one will be in forever without end. Only those who have believed by faithful commitment in Yeshua Messiah can come into the glorious presence of God. Those who willingly choose to deny Yeshua will be separated from him forever in a place of torment that the Bible refers to as the Lake of Fire. When a person dies, the determination of final eternal destination is made based on what they have decided to do with Yeshua in their life. Yeshua spoke of a resurrection of the redeemed righteous and the unredeemed unrighteous. The congregation or assembly universally and locally is made up of all believers across all cultures and times that have put their faithful commitment and trust in Yeshua Messiah. The local congregation is a group of people that have united over their shared faith in Yeshua Messiah. The local congregation exists to make students of Yeshua Messiah and to equip those students to make new students. The husband and wife are of equal worth before God, since both are created in God's image. The marriage relationship models the way God relates to His people. A husband is to love his wife as Messiah loves His congregation. He has the God-given responsibility to provide for, to protect, and to lead his family as a servant leader. A wife is to submit herself graciously to the servant leadership of her husband even as the church willingly submits to the headship of Christ. She, being in the image of God as is her husband and thus equal to him, has the God-given responsibility to respect her husband and to serve as his helper in managing the household and nurturing the next generation. From what is taught in Scripture, in the Torah, God appointed certain times of the year to be His special times of gathering for soul searching, prayer, worship, and rejoicing. This includes the seventh day of worship known as Shabbat or Sabbath which according to Scripture God never changed. As we look at Scripture, Yeshua nor the apostles never wrote that the Torah is to be considered an option or be deemed as obsolete. 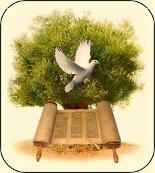 When we disciple people, the Torah is our instruction book along with all the other Scriptures.